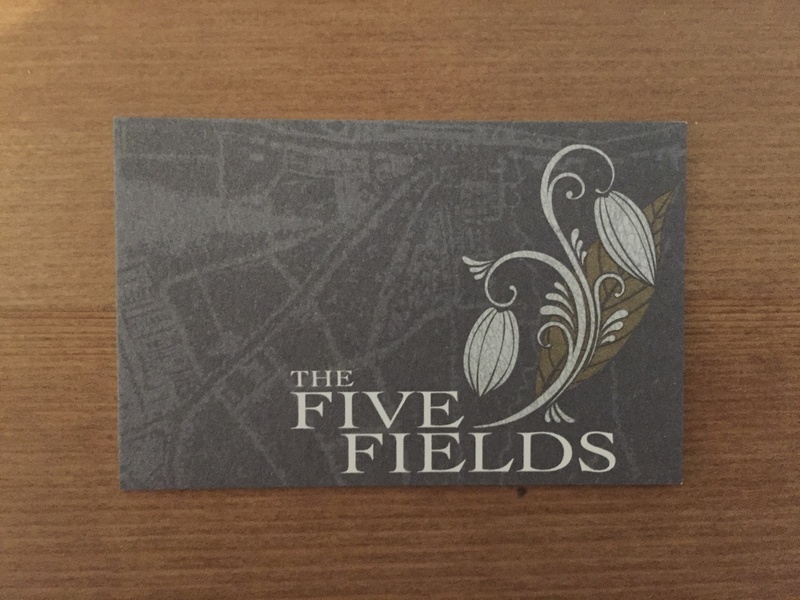 Hidden down a sleepy residential street off the Kings Road, The Five Fields is the sort of restaurant you’d never accidentally stumble upon. On our Saturday night visit the place was packed however and it’s easy to see why. The dining room was small but beautiful, some serious money had clearly been spent on the place. It was all very elegant but the armchairs sloped backwards however which was a little uncomfortable – it was like sitting on a sun lounger. 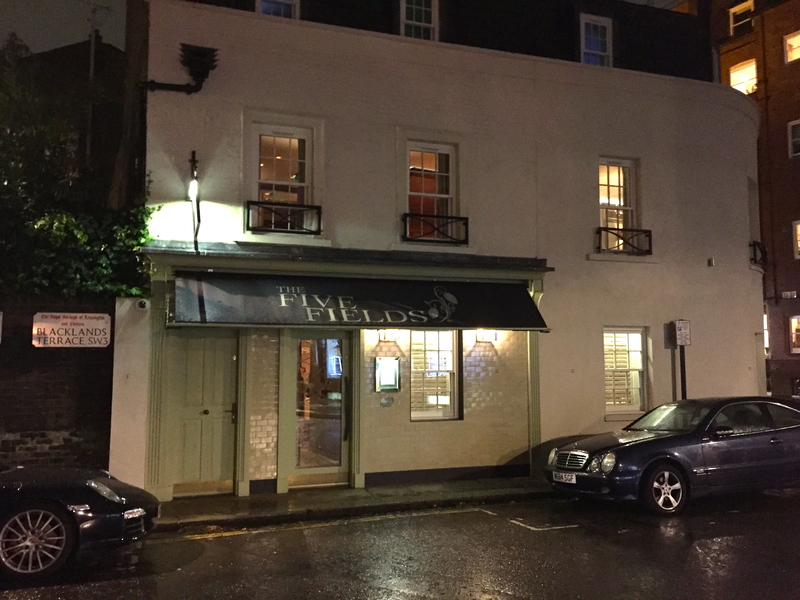 Two options were available; a three course a la carte at £50 or a tasting menu at £75 which is what we went for. 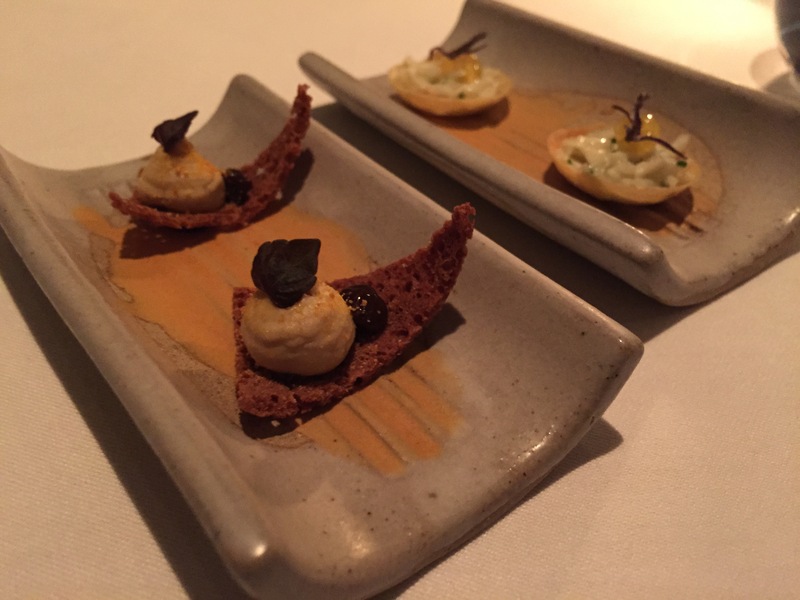 Some lovely nibbly bits featuring a crab tart, an onion consommé and a shellfish and purple potato mousse got things off to a lovely start. Bread was the type that you’d gladly eat all night long. 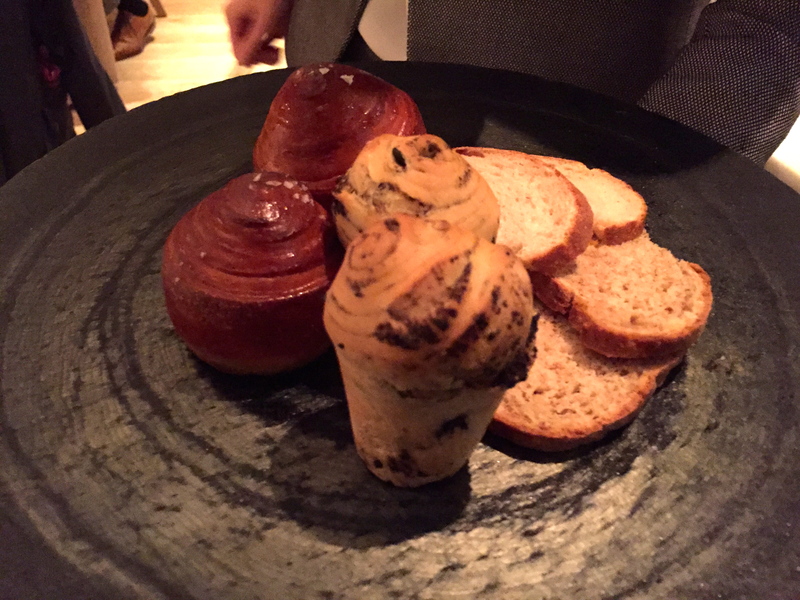 A black olive brioche and a buttermilk roll, all served with slabs of seriously divine butter, were masterfully made. 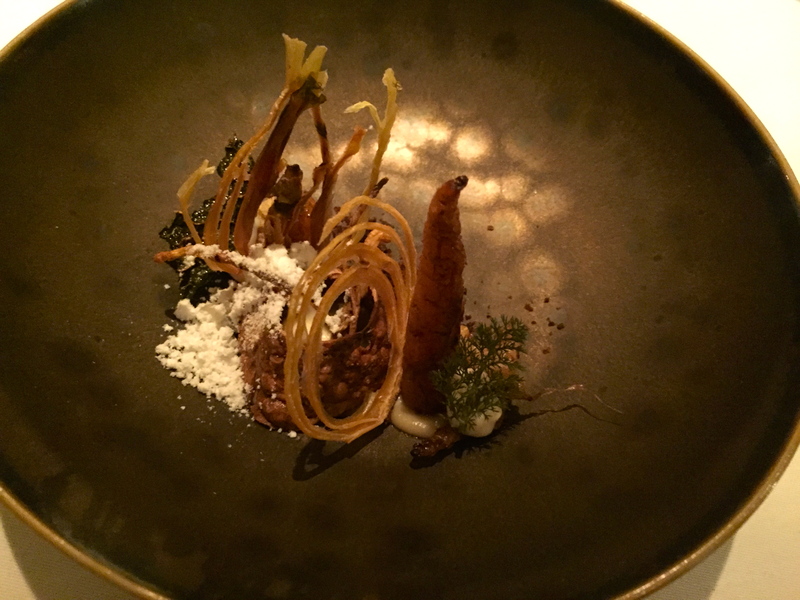 Our first course was simply described as ‘Roots’ on the menu and that’s exactly what it was, a plate of crispy vegetable roots that had a moreish sweetness about them. Who’d have thought it eh? 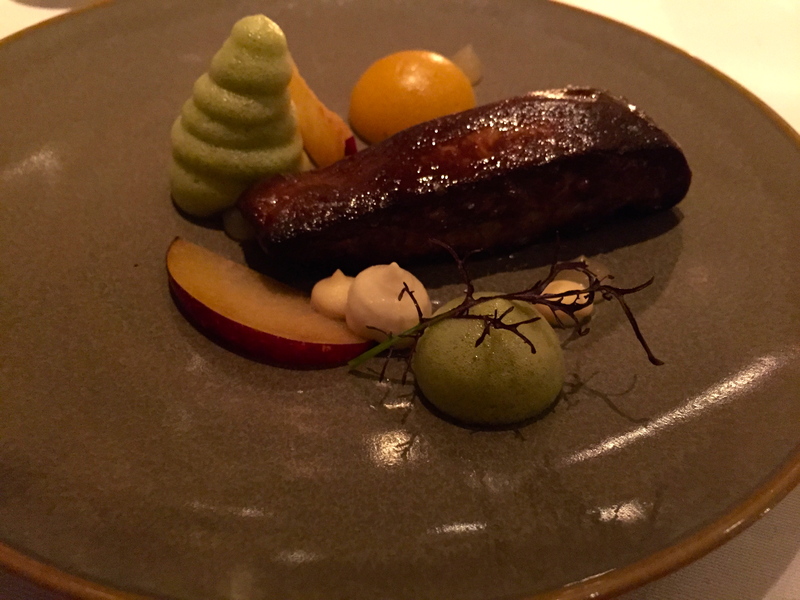 Foie gras, plum and almond was a simple blend of flavours but one which worked really well. 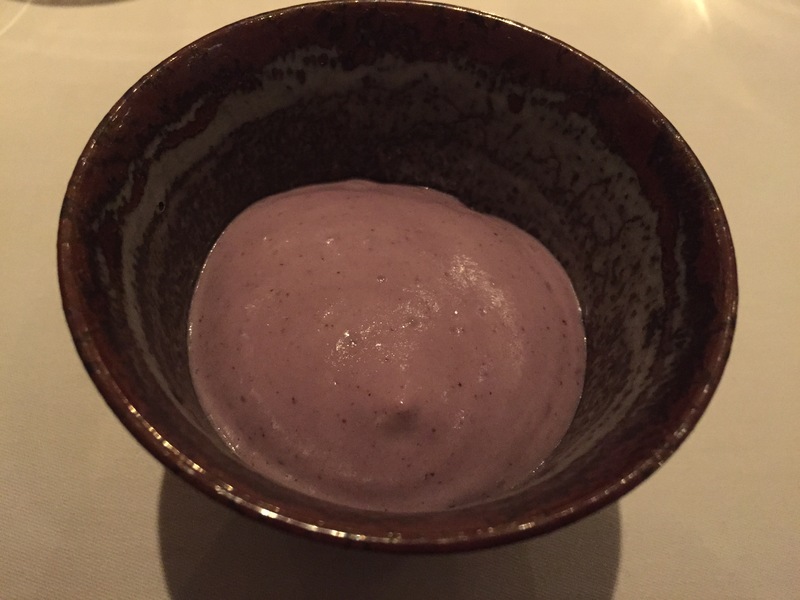 It helped that the fatty foie was of splendid quality. 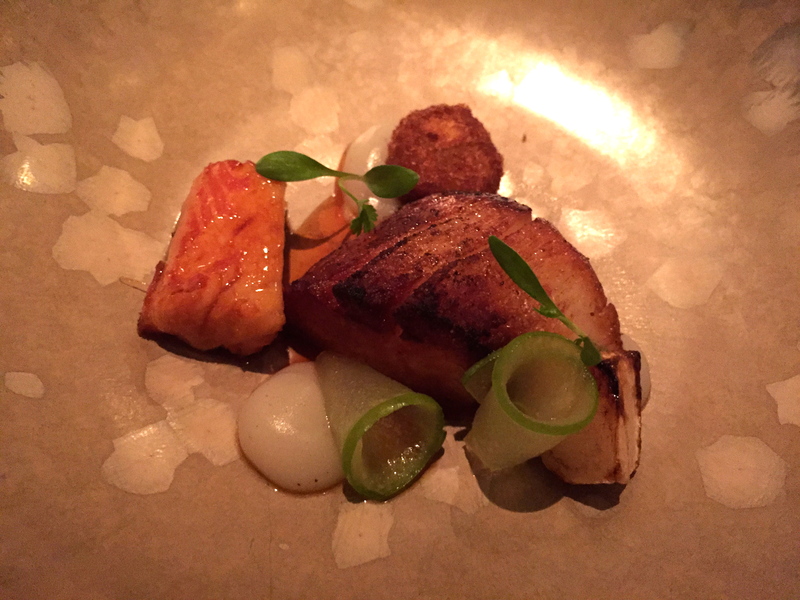 Orkney scallop, turnip and smoked eel were insanely good; the smoked eel tasted like bacon and went brilliantly with the scallop. 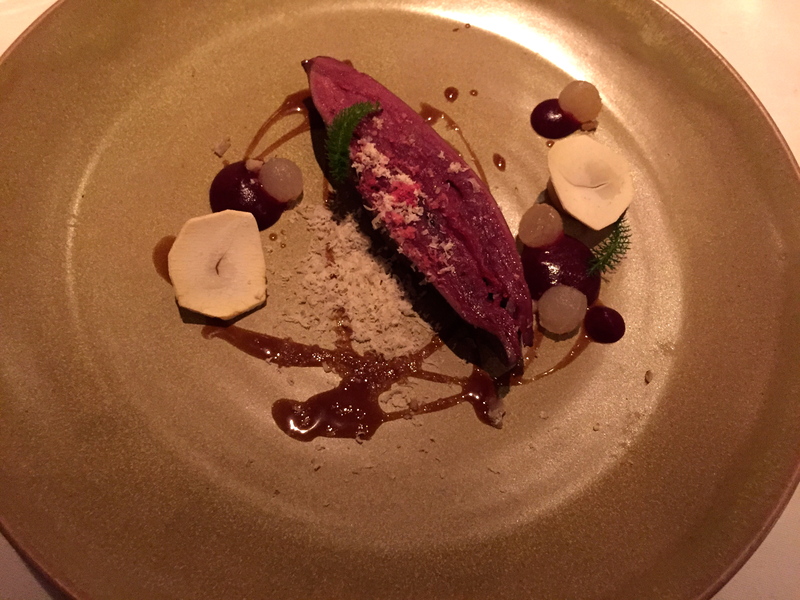 Red grouse with pear and chestnuts would only have been bettered if the grouse had been roasted as opposed to being sous-vide. The bird was soft and succulent at least. 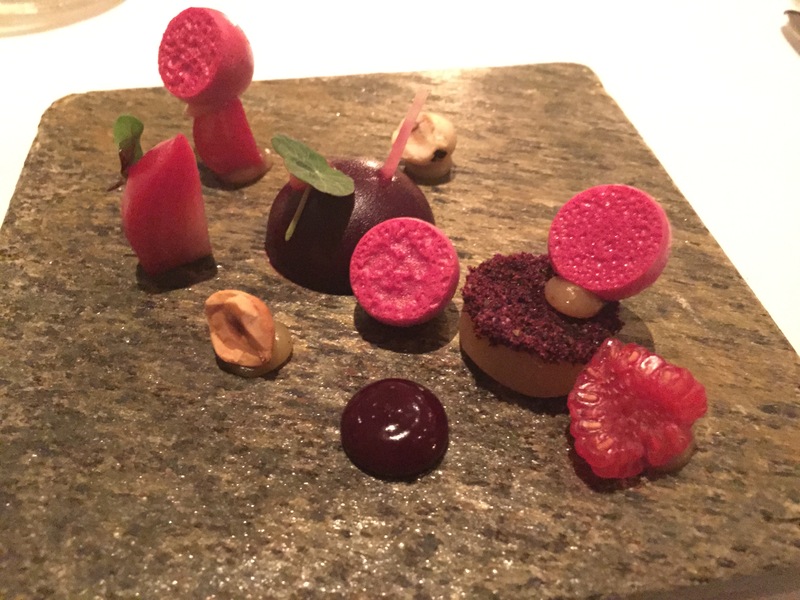 Next was a pretty little plate filled with beetroot done a number of different ways, which made for a wonderful blend of textures. The mini beetroot meringues were great. 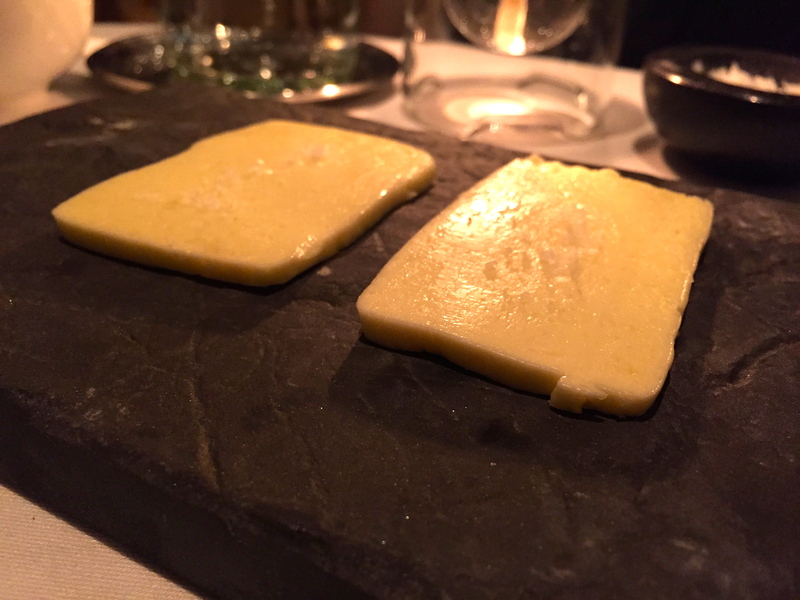 There was an option for the next course so we shared both. 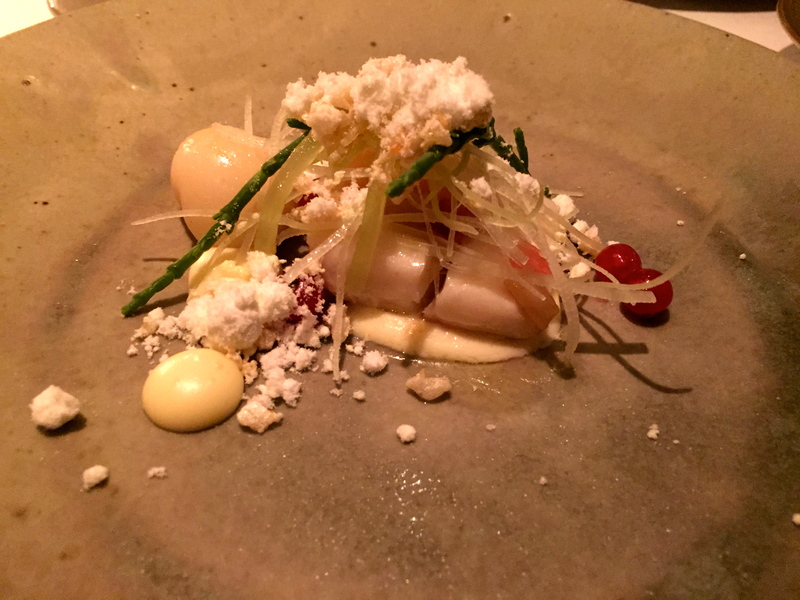 The cornish turbot with celery and bone marrow was divine but the Herdwick mutton was even better. 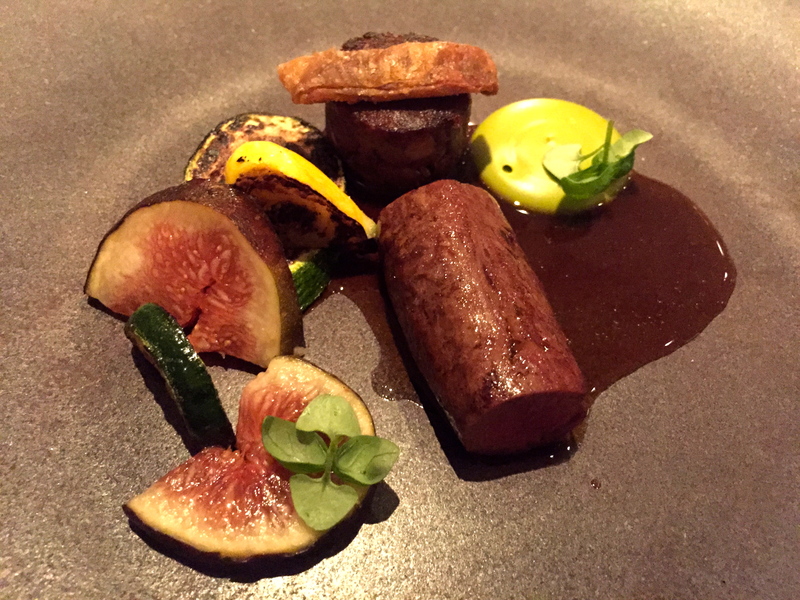 Served with a little strip of crispy skin, courgettes and a courgette purée, the flavour of the mutton was incredible. 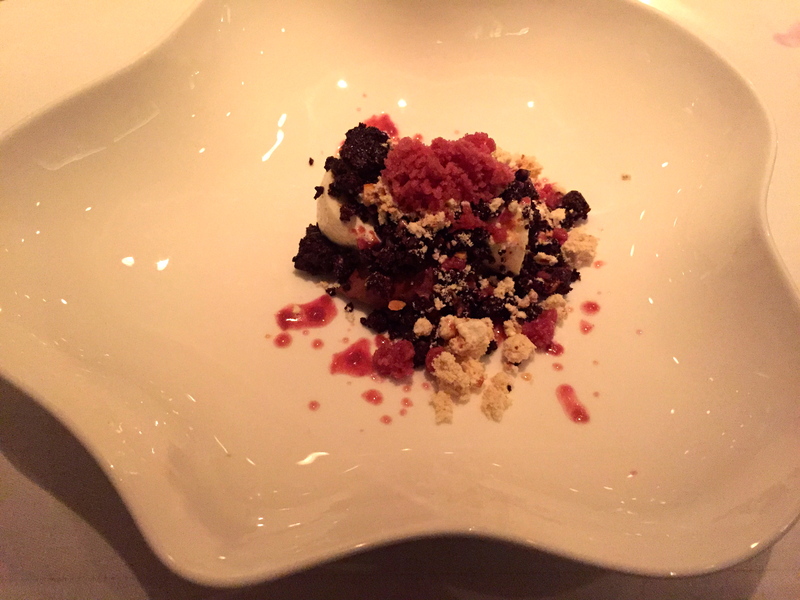 Dessert of Muscat grape and hazelnut with chocolate and yoghurt was a perfect balance between sweet and sharp. 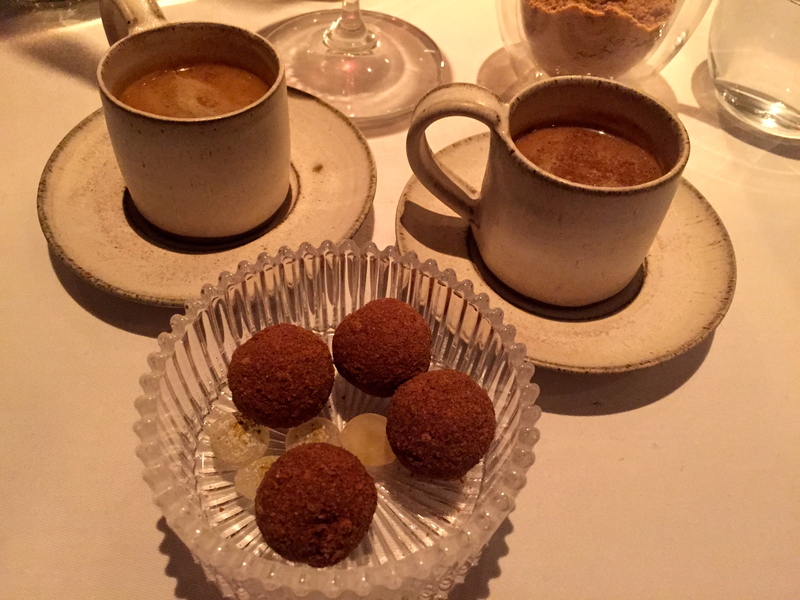 The caramel truffles that followed served alongside a small cup of hot rum were the perfect end to a really impressive dinner. Service throughout our dinner was faultless; it felt like we’d been invited inside someone’s home from the minute we stepped through the door which is a really lovely thing. That, combined with some bloody good cooking and there’s little to dislike.